Solid Steel Ambassadors are the UK's premier professional steel band, and are available in a variety of formats. 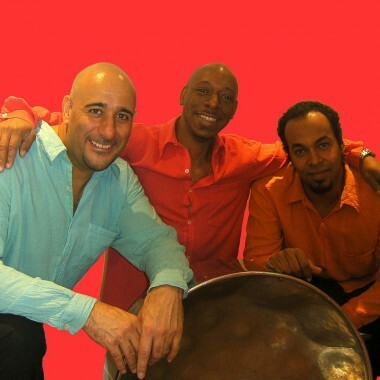 The band is able to perform as a 3-piece group for outdoor or background music, or up to a large steel orchestra for festivals and arena events. Solid Steel Ambassadors are the UK’s premier professional steel band, and are available in a variety of formats. The band is able to perform as a 3-piece group for outdoor or background music, or up to a large steel orchestra for festivals and arena events. 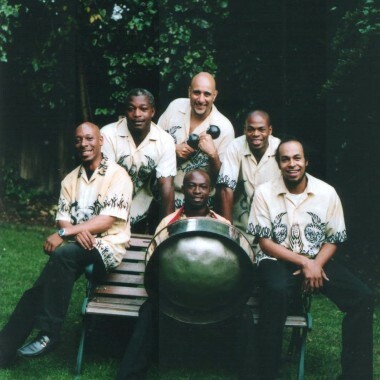 Founded in 1986, Solid Steel have long since established themselves as the very best professional steel band in the UK, with an unbeatable reputation for reliability, stage presentation and, of course… musical excellence. 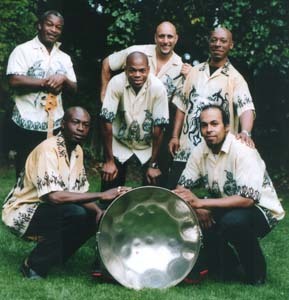 The band’s sound can be as mellow as a warm, tropical breeze or as vibrant as a West Indian street market – their repertoire ranging from beautiful Caribbean ballads such as ‘Island in the Sun’ all the way to infectious calypsos like ‘Hot Hot Hot’. All this is via modern Latin American and popular standards such as ‘Bridge Over Troubled Water’. Solid Steel has performed in five continents and has developed a style that has true international appeal. The band is available ‘unplugged’ and entirely acoustic, or amplified with its own, state-of-the-art PA system, featuring the band’s not inconsiderable vocal talents. 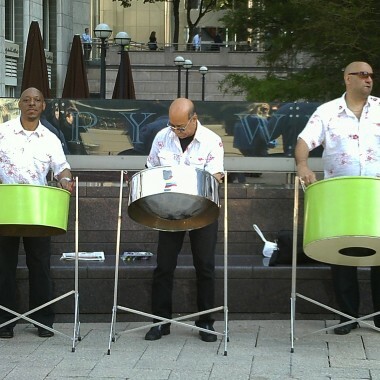 If you are looking for a steel band that looks good, sounds great and really gets fully involved in your event, you need look no further.